We have seen the Lumia 630 leak in press images previously along with images of its dual-SIM counterpart, the Lumia 635. Now, a new press image of the Lumia 630 has leaked and this time we get to know more about the device. We get to see the back and the sides of the device in the new leaked press renders of the Lumia 630. We can notice that there’s no dedicated camera button we have come to expect from all Nokia Lumia devices. There’s also no flash which is surprising, considering the Lumia 620 came with one. We can’t seem to find the front facing camera either but that might not be seen in the press render. 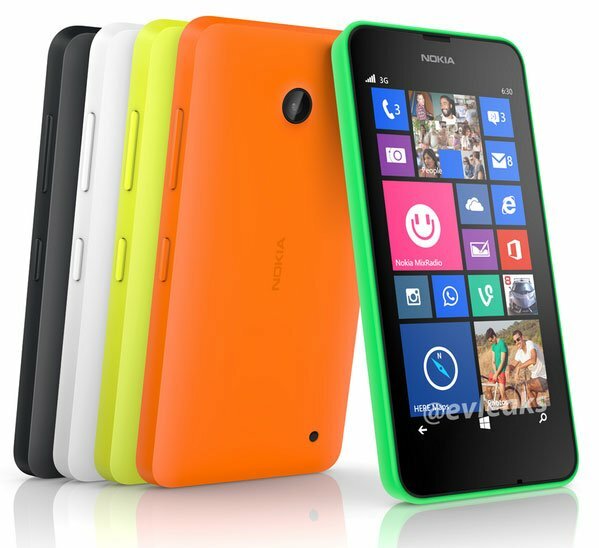 We don’t what Nokia is up to with these omissions as the Lumia 630’s predecessor, the Lumia 620 featured them all. The removal of the dedicated camera button might be part of the Windows Phone 8.1 update, which also brings on-screen buttons, we see on the device. We should see the Lumia 630 get announced along with the Lumia 635 at the April 19 Nokia event along with the rumored flagship, Lumia 930. And as always, we’ll bring you all the news from there.